.33 carats of Tapered Baguette Diamonds on this classic platinum ring, flank the center diamond; which is held by four shapely prongs. 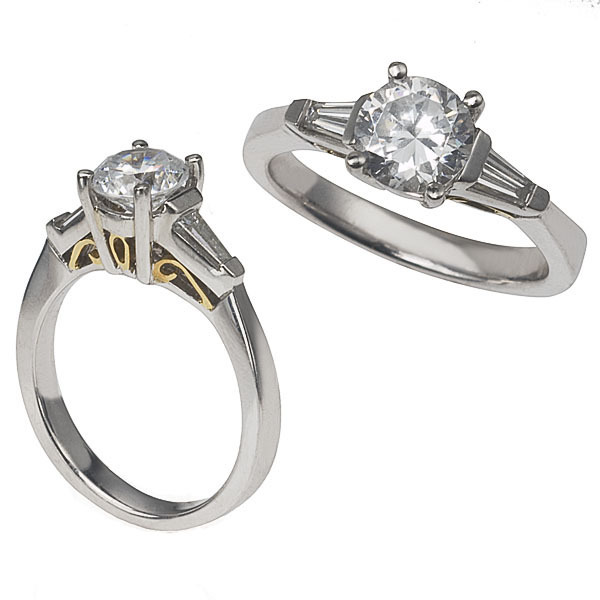 The unique yellow gold scrollwork is glimpsed from the top and bottom of the shank. (Center Diamond is Sold Separately).